My mekhela chadar memoir is vivid and vibrant. I was probably five when my fraternal grandmother died. But, I still remember her pristine everyday mekhela chadar look. A cotton silk crisp mekhela and a handwoven cotton chadar with a cream or ivory blouse. Her inner simplicity reflects through her attire. On the other hand, my maternal grandmother who carries a tea garden heritage, always wears a silk mekhela and cotton silk chadar with a small boarder usually brown or green or gray color. Through out the day, her pleats remain in the same place and position; her mekhela chadar reflects a strong woman who stayed strong through her life. As I grew up, I discover every woman's inner world with her mekhela chadar. My art teacher who used to wear beautiful mekhela chadars with intricate embroidery, I experience her sensitive inner world. Back home in Assam, our domestic help Hiramoni wears her mekhela chadar or saree the whole day so effortlessly and quickly. p.s: Makhela chadar is an Assamese ethnic outfit. It can be easily disguised as a saree. Saree is one piece attire, and mekhela chadar is two-piece, a skirt(mekhela) and scarf(chadar). THe makhla chadar looks unique and there are only few instances when we see them worn by other women. It's nice that you feel great wearing them as it's a reflection of your roots. Great to be proud and tell others about it so we would all learn. OH wow. I love the colors of this Mekhela Chadar. It is beautiful. I love that you feel comfortable and great when wearing them. Seeing your roots is a great. Thank you for sharing a part of your family history. I love you mekhela chadar. Its beautiful. The colors are stunning. You look so beautiful. I loved reading this! This is so beautiful! I have never seen something like it before. It's great that you feel so empowered and overall confident when you wear it! This was awesome to read, I love hearing about all of these beautiful cultural pieces! That's great that you have gone back to your heritage and worn the garments that your ancestors wore, and that you are getting more comfortable doing so. I never really had ancestors to which to look when it came to style of clothes. Although I think it's always nice to dress up and dress appropriately for all occasions. 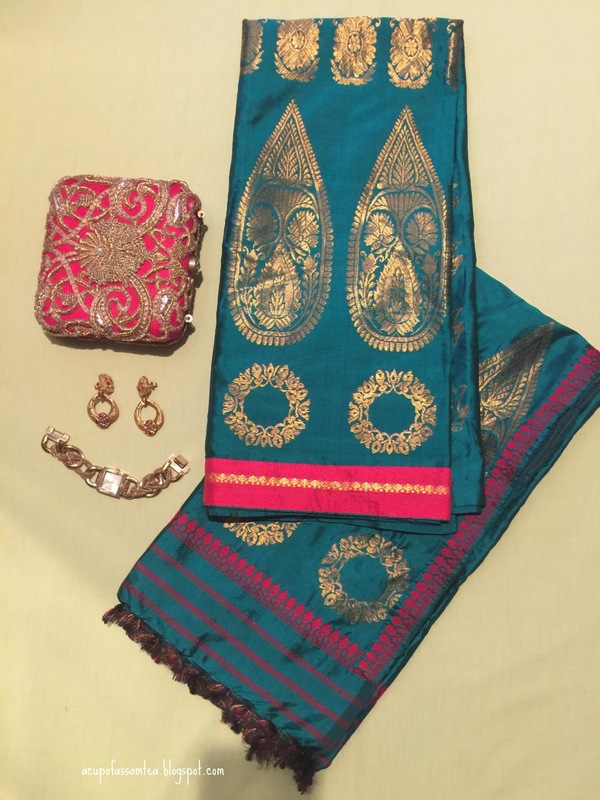 Thanks for sharing silk cotton sarees images and more informations. I hope you will share some more content. Please keep sharing!